If you were considering going gluten free, what would be the hardest food item to give up? My guess is that at least 50% of us would say bread! Tasty gluten-free bread is the Holy Grail of the GF eater. Either the bread crumbles before it reaches your mouth, or it is just to bland to even swallow. My strategy has been to find non-bread items to replace the outsides of my sandwiches with – for example, a GF wrap or tortilla. It keeps my disappointment level to a minimum. But there are some days when nothing but a bite or three of bread will satisfy! A client of mine shared this terrific recipe with me. She is vegan and also eats mostly gluten free. I have to say this is probably the best gluten free bread I have tasted. 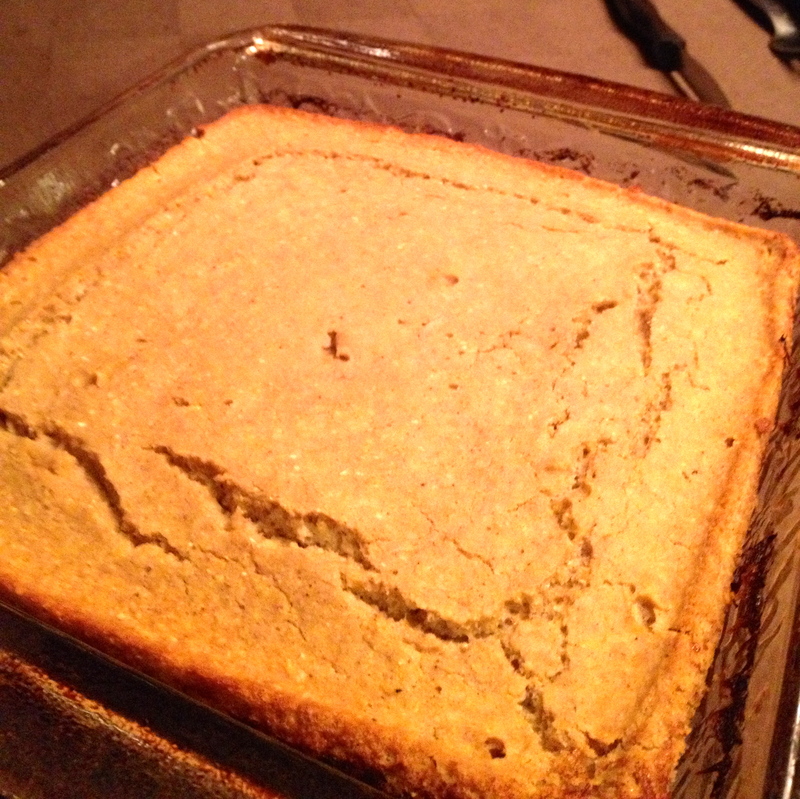 Of course, you can’t make a sandwich with it … but it tastes and feels EXACTLY like cornbread made with white flour. The recipe is modified from one in Jane Brody’s Good Food Gourmet. Here’s the 8 x 8 pan version. 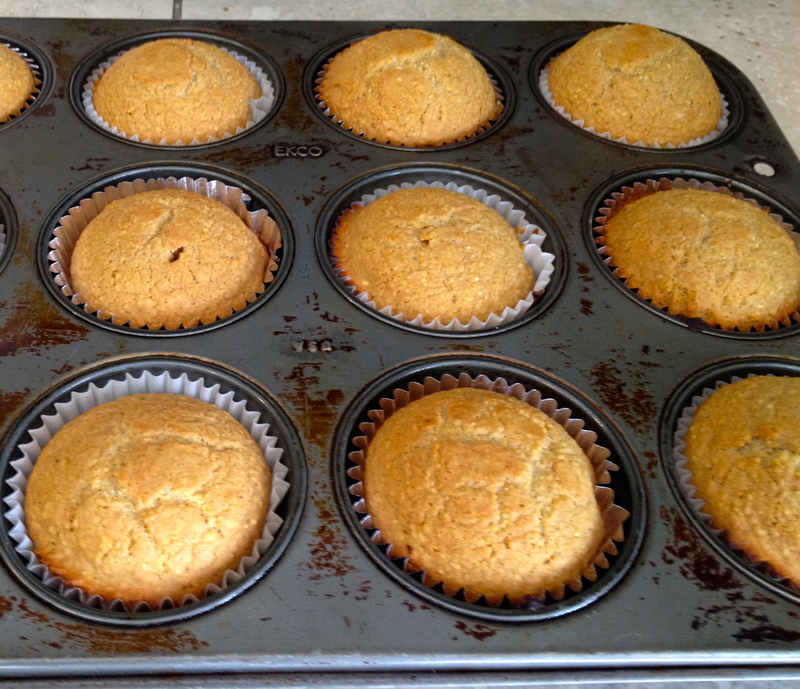 And these are the finished muffins! Let me know what you think when you try the recipe! I’ve been growing my own sprouts this year for the first time! It’s so fun and easy – no soil required. This recipe calls for a package of purchased sprouts, but you could just as easily grow your own in a just a few days time. 1. Slice zucchini and summer squash in discs about 1/4 inch thick. Steam with sprouts for about 5 minutes or until desired tenderness. 2. Toss with tarragon, ghee and salt in bowl. 3. Serve with lemon wedge. Note: Try fresh herbs like parsley, dill, cilantro or mint for a totally different taste. Recently I’ve been thinking a lot about how coaches can best encourage clients to change behaviors. One of my coaches has been emphasizing encouragement, and I have to agree. Often when we are learning something new, it’s most encouraging to have our coach show us how to change. And it’s even better when a coach can model that behavior for us. I don’t know about you, but just telling me I should change isn’t the same as showing me how easy change can be. Given all of this, it’s kind of funny that I have a coach/client relationship in my own home. Who is my client? My darling husband (DH)! While he’s 100% supportive of my career, it’s been a slower path for him to make substantive changes in his own health-related choices. As with my other clients, I focus first on introducing foods that are less processed. Here’s a recent example — microwave popcorn! We both enjoy popcorn as a relatively healthy snack. But my DH has been buying microwave popcorn for years. Gosh it’s just so darn convenient! But then you look at the list of ingredients, and even read things online that may scare you. So this health coach was reminded again … show me the new way … don’t just tell me! 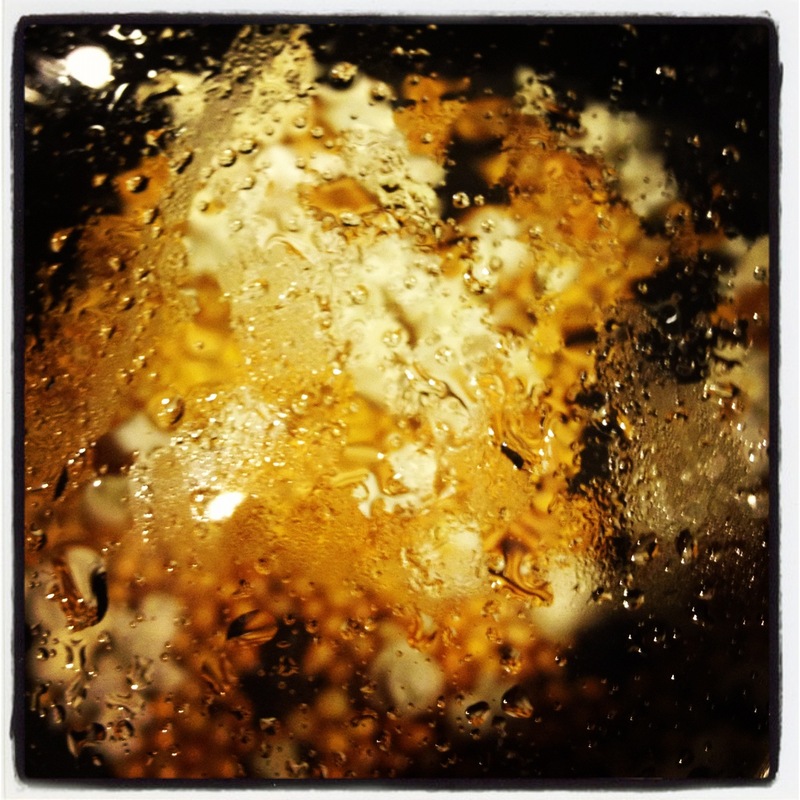 Here’s my popcorn “recipe” … Really just guidelines. Pick a large saucepan with a tightly fitting lid. Warm your oil with one piece of unpopped corn over medium to high heat. Be sure the lid fits tightly to keep heat and oil in the pan. When the oil is hot, the single kernel will pop. Before you add the remaining popcorn, add your seasonings to the oil. Then add the remaining popcorn and close the lid again. Shake the saucepan a bit to get the oil evenly distributed. The popcorn should begin to pop, and you’ll want to keep a close watch over its process. Do not leave the stove while the popcorn is popping! Shake the saucepan occasionally during the whole cooking process. When you stop hearing popping, the popcorn is finished. You should have a saucepan full of popped popcorn within 4-5 minutes. Pour it into a bowl (or bowls if sharing) and enjoy! Do you enjoy Miso Soup at your favorite Japanese restaurant? I know I do! And it’s surprisingly easy to make at home. I love the versatility and ideas that are part of this recipe too! Discard soaking water or use on houseplants for a boost of minerals. Place water and wakame in a soup pot and bring to a boil. Add root vegetables first and simmer gently for 5 minutes or until tender. Add leafy vegetables and simmer for 2-3 minutes. Remove about 1/2 cup of liquid from pot and dissolve miso into it. Return it to the pot. Reduce heat to very low; do not boil or simmer miso broth. Allow soup to cook 2-3 minutes. Add cooked grains at the start of making the soup. They will become nice and soft. Add a tablespoon of uncooked quinoa or millet at the beginning and let it cook with vegetables for 20 minutes. Add cubed tofu toward the end. Add bean sprouts toward the end. Season with 1/2 teaspoon ginger juice for an interesting twist. If using dry shiitake mushrooms, let them soak for 20 minutes, slice and add at the beginning.